I often get asked by event organizers if we should talk about money in our event follow up. It's a great question because these people are wanting to be transparent but not wanting to hurt future donations. So should you mention how much was raised at the event? Especially if it was very successful? Yes! If your event was a success let your guests and sponsors and donors know about it! Each event should be followed up with three "thank you" messages. All of three of them should be donor-centric, letting them know that they are the heroes whose support makes all your work possible. All three should be very specific about how the money you raised will help your organization's mission. The first touch should reference the amount of money raised. 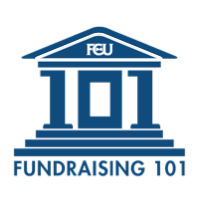 If you don't know the exact amount raised, it is fine to give an estimate. The first email/letter/phone call (depending on the donor's level of giving at event) should be within three days of the event if possible. If you don't have all financial info at that time just let them know you will be following up with details and give them a ballpark number. The second thank you should come about three to four weeks after the event. This one should thank the folks again, as well as give specifics on how the money raised will be used to further your mission. The third thank you should be two months after the event and thank them again and follow up on how your organization's mission has benefited from the money raised. I know it seems like a lot of work, but it is truly worth the effort at this makes your guests feel a part of your organization's success and keeps the good feelings and engagement flowing. If you need an idea for the first touch, here is one of my favorite "thank you" letters sent by a client after a recent super successful event. The guests and donors absolutely loved this. I actually heard that other nonprofits had showed this to their boards as an example of an engaging thank you letter from a gala. This is great for a money raising event. I love the info graphic. If you invite donors and prospective donors to a social event in which you are not making a direct ask, would you still contact them 3 times to thank them for coming? What might #2 and #3 look like? Relationship building is our main goal at these "Mostly Social" events. We give about 10-15 minutes of Foundation info and then just mingle and build relationships. Great question, Mary! Yes, you should use the three-touch approach. Your outreach should focus on the "community" of the event (guests!) and the amazing work your organization has been able to do thanks to the generosity of that community. Keep the language donor-centric, and use story-telling (of course) to tell the story of your work. You can even highlight a guest who has volunteered or become more deeply involved with your organization after the event as one of your stories. Remember to use the word "you" much, much more often than the word "we". Thanks for the great question!